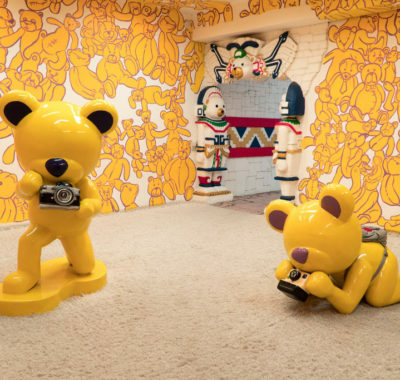 10 Family-Friendly Cultural Holidays in Southeast Asia to Take with the Kids this year! If you’re planning your family-friendly holidays with the kids for the rest of the year, look no further. We’ve found 10 places in Southeast Asia with lots of cultural value for everyone in the family! It’s less than two months to the mid-year school hols in June. Need ideas on where to bring the kids for a well-deserved break and lots of fun, while letting them learn about a different Asian culture? Here are our picks of 10 family-friendly destinations in Southeast Asia with heaps of cultural value thrown in. This cultural heart of Central Java is a visual and aural feast. Apart from being one of the oldest cities in Indonesia, it is also famous for its traditional architecture and art forms. 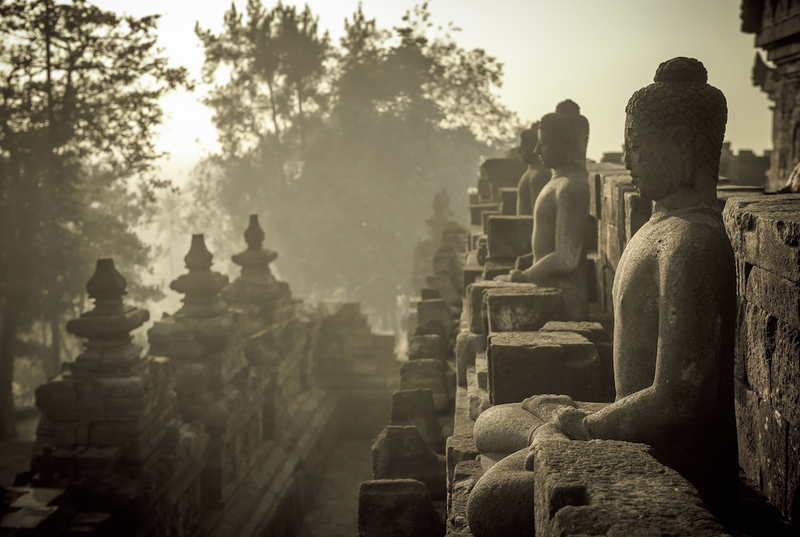 What to do: Visit Borobudur, the world’s largest Buddhist temple and a UNESCO World Heritage Site. Be amazed by the scale and the attention to detail of the temple. Visit its Hindu counterpart Prambanan, which is also a UNESCO World Heritage Site. Let the kids learn about royal life at the Taman Sari Water Castle, a garden for the Sultan of Yogyakarta. 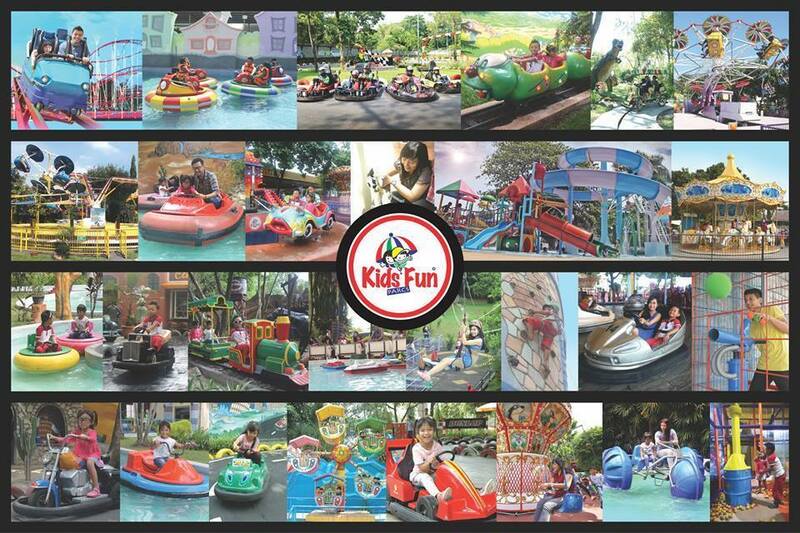 After all that history, head for the the Kids Fun Park where everyone can enjoy water-slides, do go-karting, and go on a variety of fun-filled rides. Make sure to drop by Jalan Malioboro, the 24 Hours Street to pick up some souvenirs. Travel tip: While guides may suggest visiting the Borobudur early for the best sunrise photo-ops, the 4am start may not be ideal for children. A slightly later start, say 6.30 or 7am, will probably be more do-able for them. Don’t worry, the photos will still look good. While in Yogyakarta, you’ll see people going around in ‘becak’ (a traditional cycle rickshaw). It’s a fun ride so give it a try, but be prepared to haggle, and make sure to agree on a price before the trip! With beautiful sandy beaches and cheap delicious food, there’s no need to wonder why this beach town is a tourist hotspot in Vietnam. What to do: The beach is the main dish here, but that is not all there is to Nha Trang. How about taking a mud bath at Thap Ba Hot Springs as a family? It may sound quirky, but the mud there is known to have healing powers. However, Thap Ba Hot Springs offer more than just spa services. There are also two mineral water pools and restaurants where you can find refreshing drinks, authentic local food and pizza. A day trip to Vinpearl Amusement Park is a must for an amazing family day. You will find a waterpark, thrilling rides, performances and more. At the Ocean Movie Castle, kids can watch 4D movies in a majestic setting. 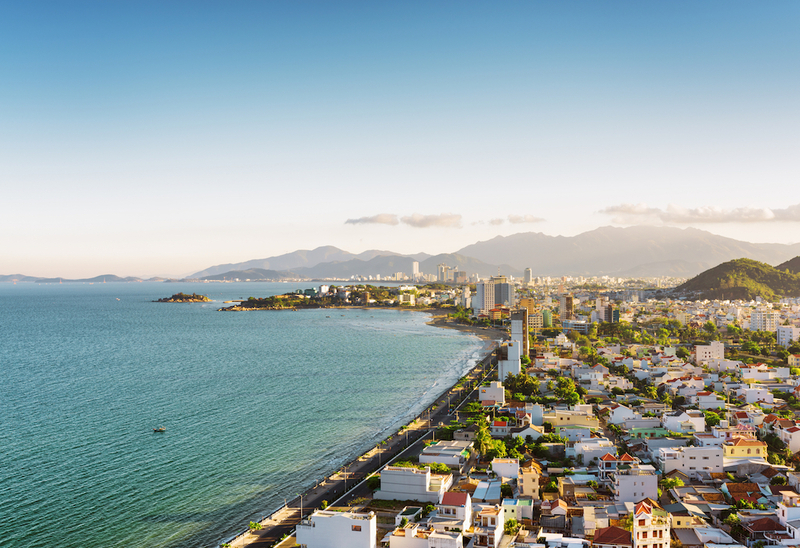 Travel tip: There is no direct flight from Singapore to Nha Trang. You will need to transfer at Ho Chi Minh City or Da Nang. There are many taxis in Nha Trang, but stick to the reputable ones like Mai Linh or Vinasun. Vacationing on this little island that’s not as crowded or as developed as Phuket promises fun for both parents and kids. While Chaweng is a popular beach spot for tourists, Bophut and Maenam beaches are more suitable for young kids as the waves in these areas are calmer. 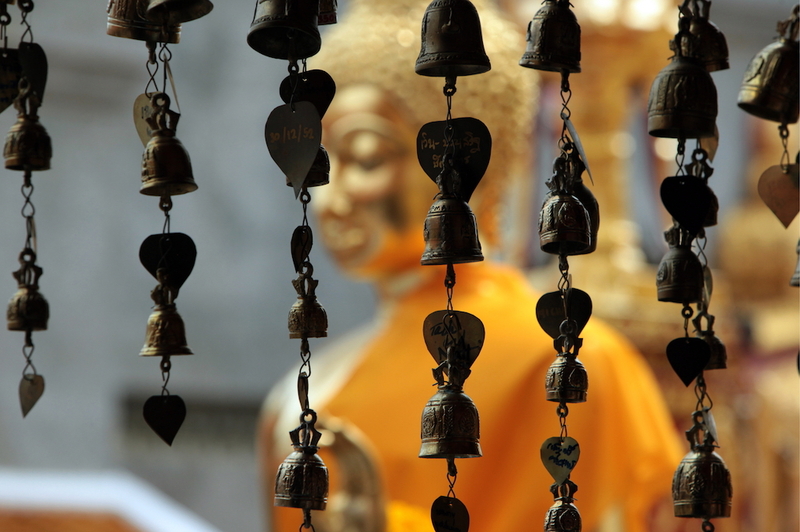 What to do: There is plenty to see and do on Koh Samui. Beach activities are a must for the family. Kids will have fun swimming and playing with the sand while parents enjoy a fresh coconut. Going with older children? 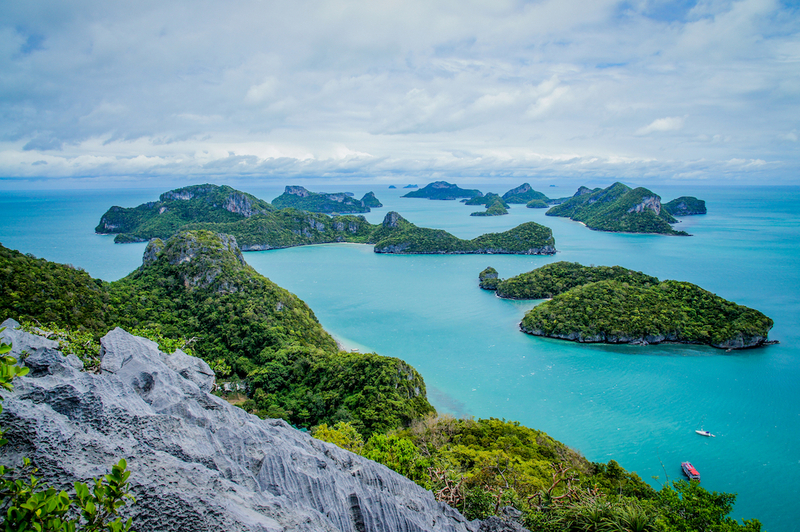 Try a snorkelling or diving trip or visit Angthong National Marine Park. Get a massage, see temples and browse night markets, watch animal shows, and check out the aquarium and butterfly garden. 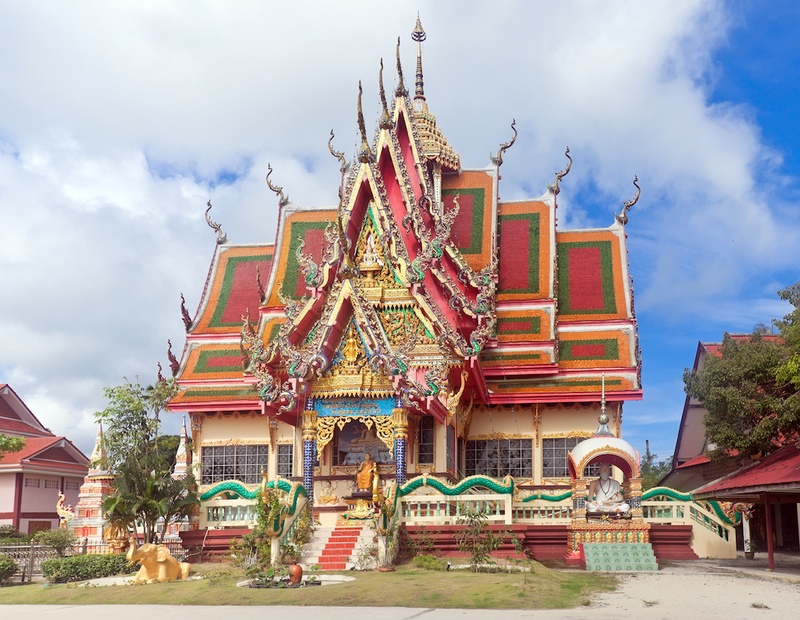 If you want to pack in some learning here as well, make a trip to the Big Buddha shrine or Wat Plai Laem to learn about Thai culture and religion. Travel tip: Too much time under the Samui sun is not good for the kids, so bring lots of sun screen to keep the family safe from UV rays. 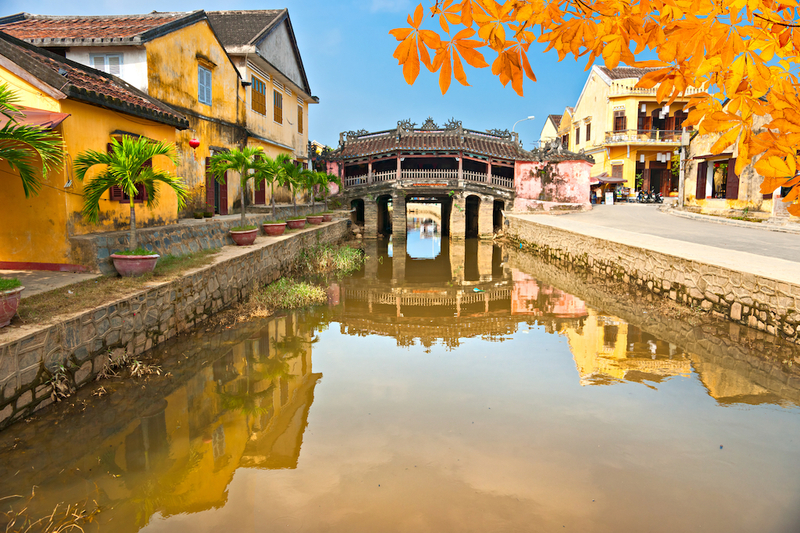 Hoi An is probably best known for being a UNESCO heritage town. Indeed, there is much in the city to thrill practically everyone in the family. You’ll be able to take lots of gorgeous photos here too. 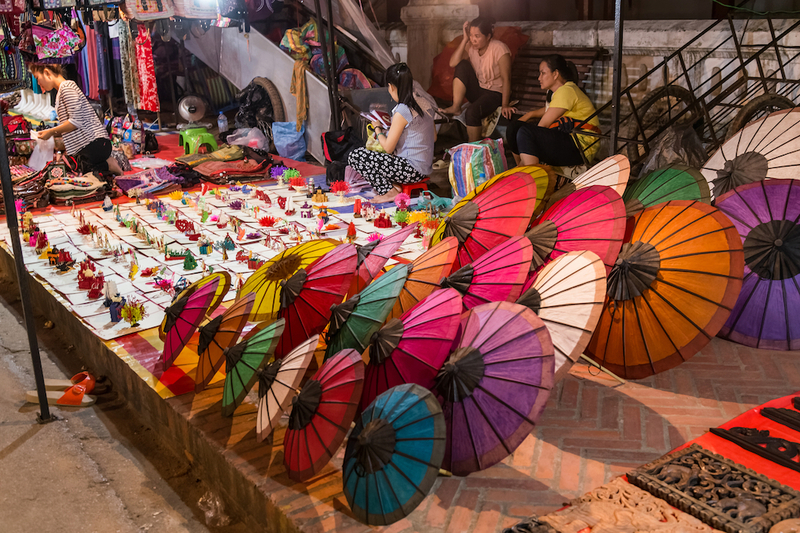 What to do: The ancient town is an interesting place to take in Vietnamese culture. 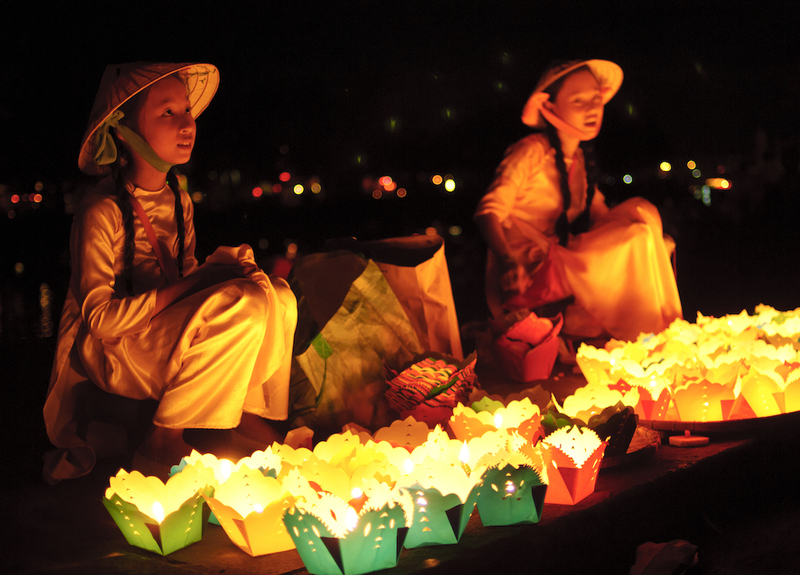 At night, lanterns are lit up along the small roads of the town, creating a dazzling, peaceful atmosphere. Fancy something different? 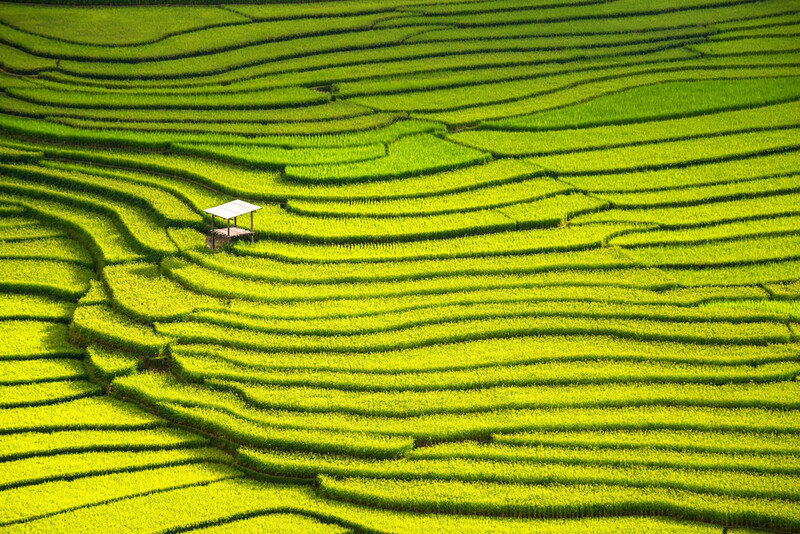 Go on a farming and fishing tour where you can cycle from the city to green rice fields and the beach. You and the kids can learn how to plant vegetables and gain first-hand experience in steering the traditional round bamboo basket boat. It’s fun, exotic, and safe as there’ll be a guide to help you. Have a yen for Vietnamese food? Go on a Hoi An Food Tour to discover the city through local cuisines. Travel tip: The best time to go to Hoi An is from February to April when the weather is not too hot and there is little rain. How about escaping Singapore’s heat at an English garden? Just kidding. 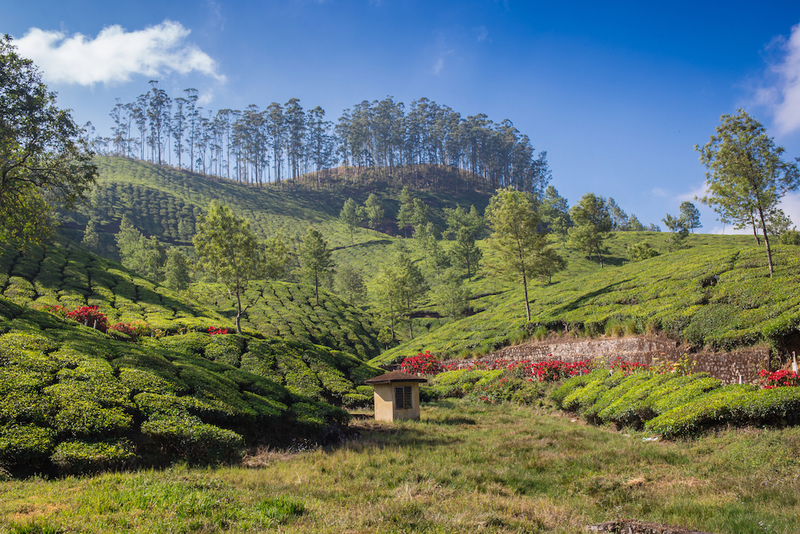 We’re talking about Cameron Highlands in Malaysia but with its cool climate and verdant tea plantations, it’s almost like being in the English countryside! Not only will you be able to enjoy the cool weather, the kids will also have a great time learning and exploring. 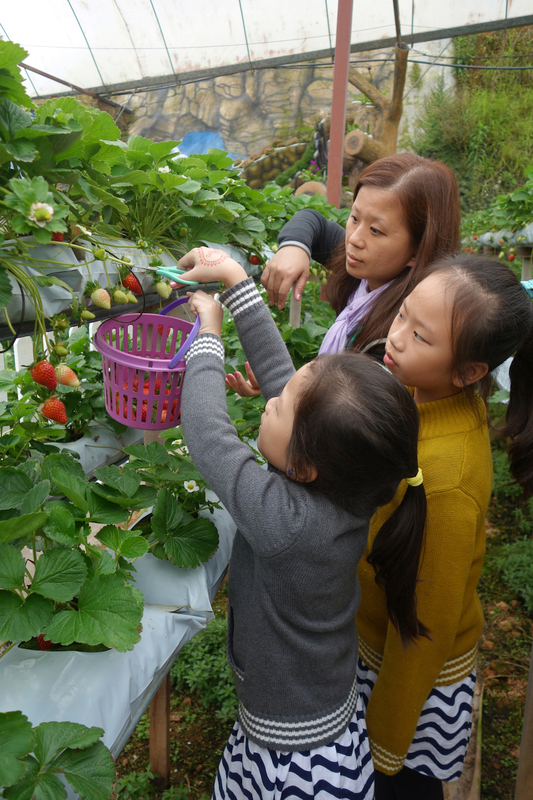 What to do: Due to the cooler climate, the Highlands are perfect for strawberry crops which you and the kids can view and pick. At the Butterfly Garden, kids will be able to see colourful butterflies and insects that can’t be found in the city. A trip to the farms promises an excellent way to learn about strawberries, flowers, cacti, tea and vegetables. Last but not least, the Time Tunnel Museum offers lots of information about the history of Cameron Highlands. Travel tip: Avoid April, October and November as these are the rainiest months of the year. The driest month is July. Quiet and peaceful, Luang Prabang is an off-the-beaten-track destination for families. Yet it is also an UNESCO World Heritage town. Come here for a relaxing time with loved ones. What to do: Visit temples, the night market, the Tat Kwang Si Bear Rescue Center, and the Butterfly Park. Luang Prabang is home to stunning temples like Wat Mai, Wat Xieng Thong, and Wat Manorom. Their architecture is unique, and the level of attention to details is amazing. You can also check out elephant camps where kids will have fun riding elephants or bathing them. 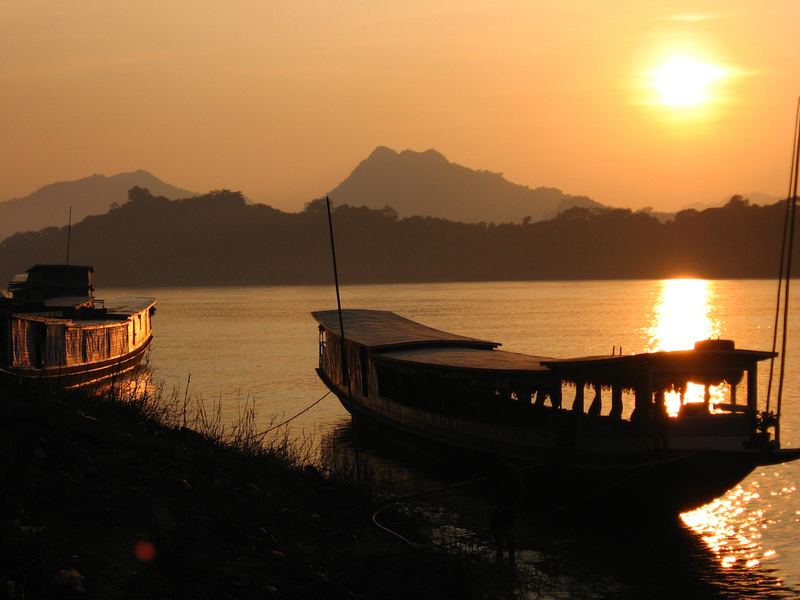 While you are in Luang Prabang, take the opportunity to watch a sensational sunset aboard a longboat on Mekong River. Travel tip: There is no direct flight from Singapore. If you take Laos Airlines, you will have a stop in Vientiane, Laos’ capital. 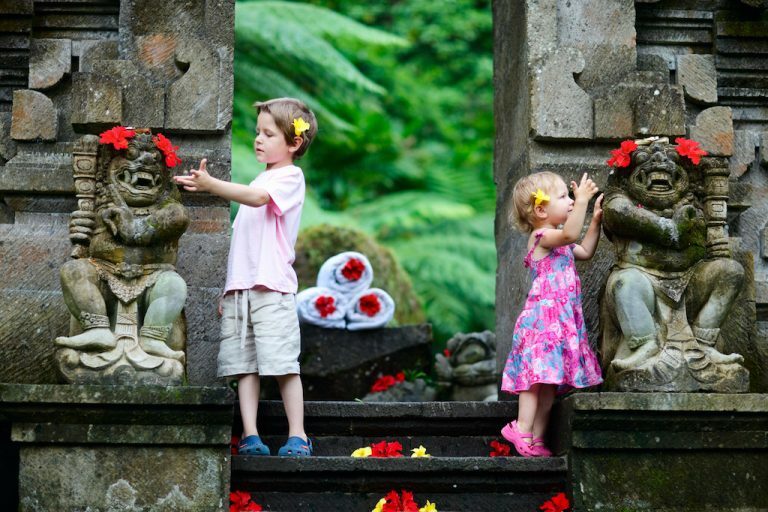 Pristine beaches, lush green fields, friendly people, laid-back vibe, these are just a few reasons why Bali is so attractive for families. The best part? Everything is at an affordable price! What to do: There’s plenty for families to enjoy: quiet time at the beach, villa-style living, alfresco dining at sunset, watersports, ziplining, temple-hopping, shopping and spa-ing. 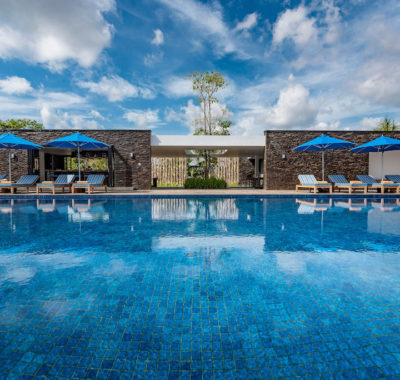 Furthermore, the kids will love Ubud’s monkey forest and the Canggu Club, where they can spend the day at a Water Park, a Trampoline Centre, a Bowling alley, and a Kids Club. 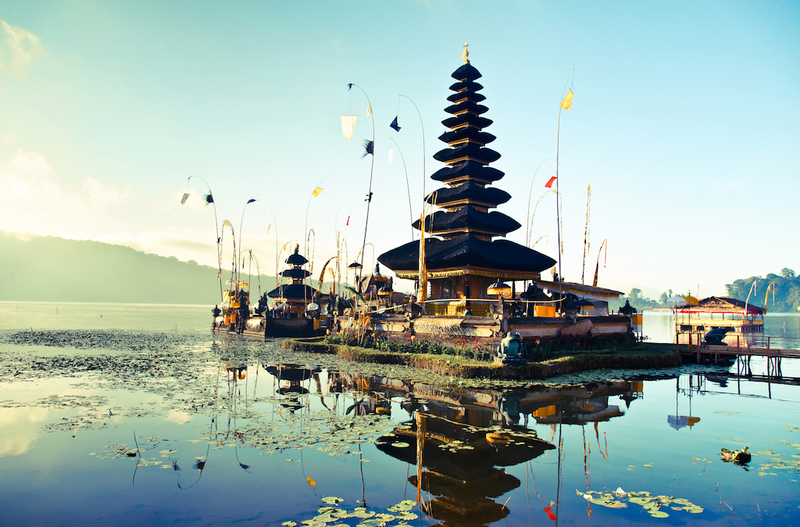 Travel tip: Bali’s airport is always crowded and can be confusing for first-time visitors. It’s advisable to arrange an airport transfer in advance. Do check with your hotel or villa if they provide the service. You will need to wait at the carpark while your driver fetch the car, but don’t worry, he will be able to find you. Located in the North of Thailand, Chiang Mai is an exotic holiday destination that your kids will enjoy. The city offers an array of things to see and do for all kinds of travellers. What to do: You can admire the city’s architecture, which is magnificently beautiful. It is a great place to learn Lanna culture, Buddhism influences, as well as spending time with your family. Visiting Wat Phra That Doi Suthep, a famous Buddhist temple, is an excellent way for your kids to learn about Thai culture. They will enjoy ringing the temple bells, and if you get there at around 6pm on Sundays, you will get to hear the monks chanting. 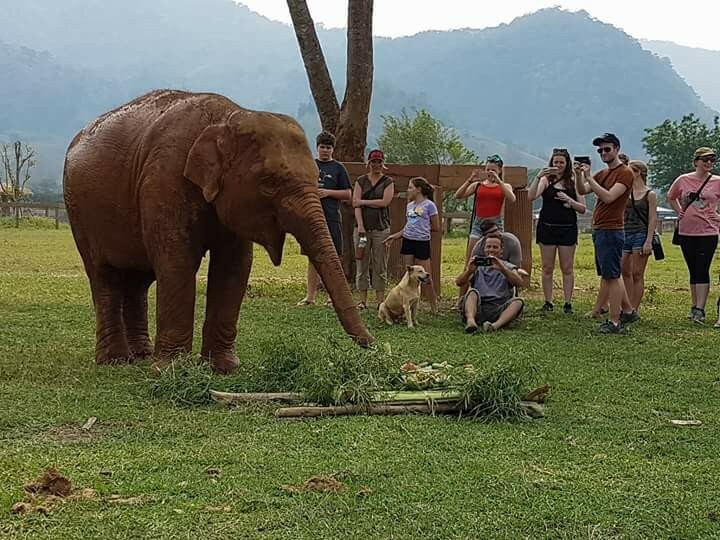 Aside from stunning buildings and rich history, Chiang Mai is also a place to learn about wildlife. Little ones will love a trip to the Elephant Nature Park, an elephant rescue and rehabilitation centre, and the Night Safari. Travel tip: If you intend to travel during peak periods, plan ahead and book the activities in advance to reserve your place as they will be fully-booked during these seasons. 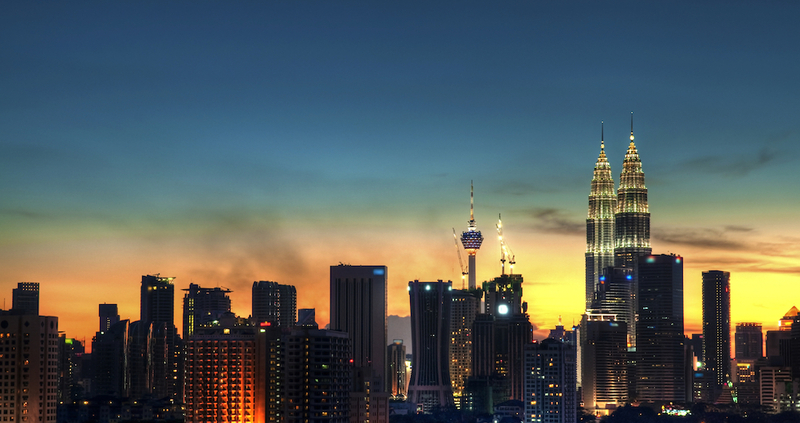 It’s no surprise KL is on the list for family-friendly destinations in Southeast Asia. With the exchange rate in our favour, this is a good time to visit (or revisit) this neighbour of ours. What to do: The aquarium, the bird park, Sunway Lagoon theme park, Negara Zoo (pandas alert! 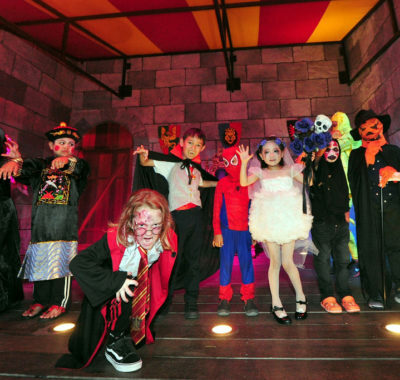 ), Kidzania, and the Petronas Towers are the usual must-visit suspects. Sunway Lagoon is a huge complex with five areas: a wildlife park, water park, amusement park, “scream” park, and extreme park. There is something for everyone, and the kids will also get to learn about wildlife here. 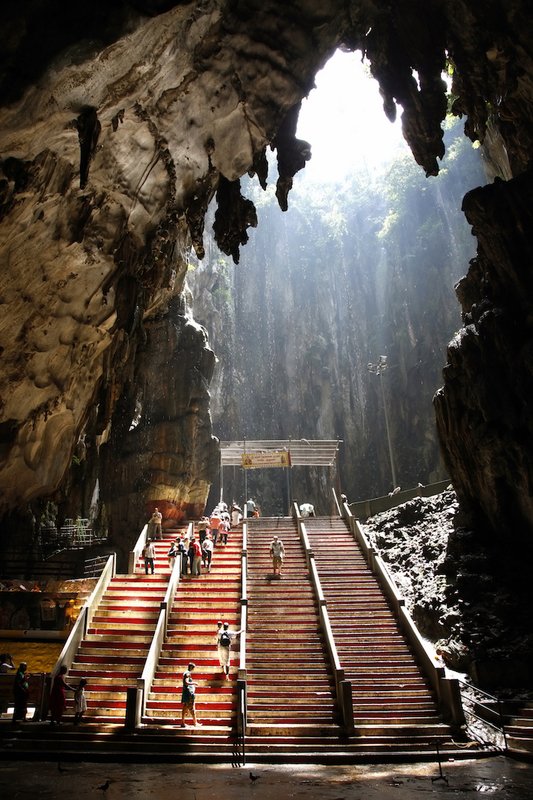 For something a little different, check out the Batu Caves just 20 minutes north of Kuala Lumpur. Marvel at the Hindu shrines and temples at the outcrop of a limestone mountain. It’s a magnificent site, but be prepared to climb 272 steps to reach the cave! Travel tip: Check if the taxi has a meter before you take it. If you have no other choice, remember to haggle and agree on the price before taking taxis with no meters. 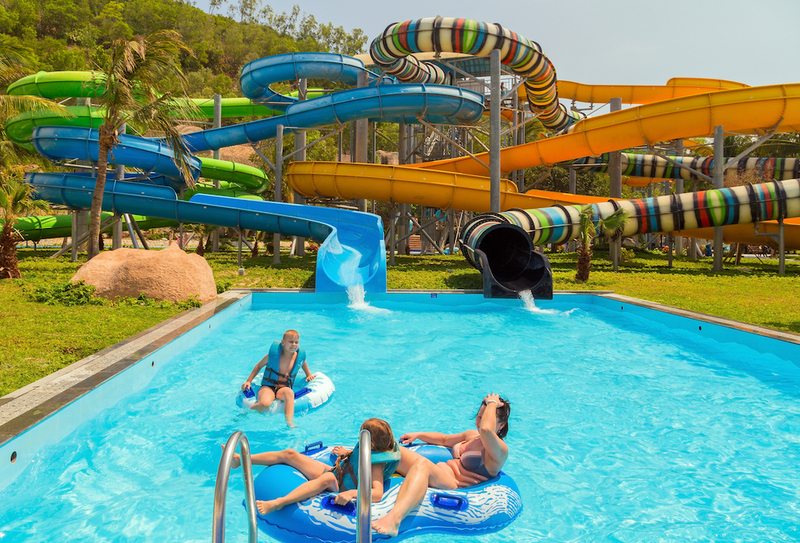 If you plan to go the Sunway Lagoon, make use of the School Holiday Deals which you can find online. The majestic World Heritage Site Angkor is not the only reason to visit Siem Reap. This town is where you can live luxuriously at an affordable price, as well as indulge in local cuisines and culture. What to do: You can’t go to Siem Riep without visiting Angkor Wat and Angkor Thom. These temples are amazing for kids and adults alike to visit. 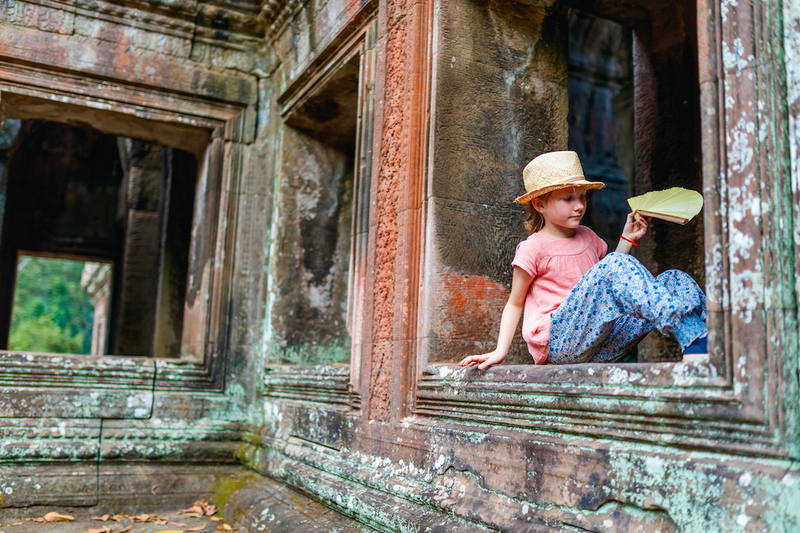 Children will love finding secret passages, climbing, and roaming around the ancient ruins. You can also opt for a horse ride around the countryside to explore Siem Riep in style. 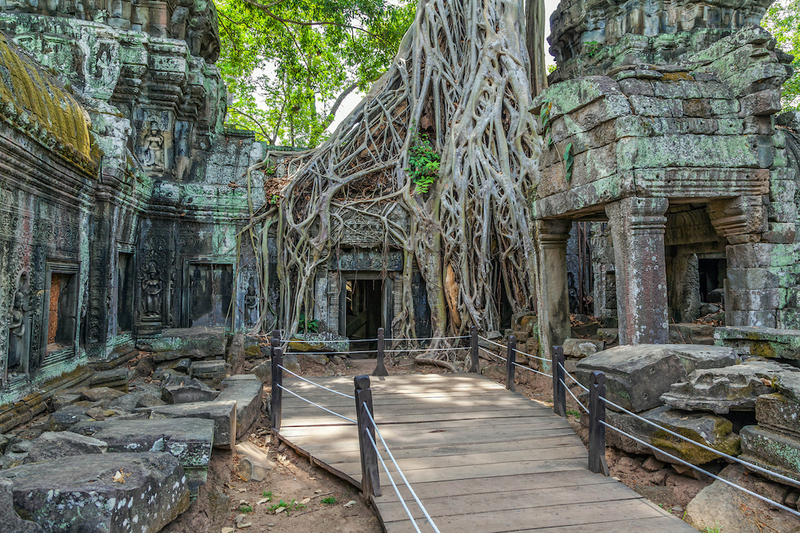 Finally, Ta Prohm is another fascinating sight to see thanks to its jungle-like atmosphere. Travel tip: Bring lots and lots of water to stay hydrated as it can get very hot and humid. This article was written by Khanh Tran from Samui-Villa.com, the leading villa reservation platform in Samui. Are You Feeding your Baby Healthy Snacks between meals?